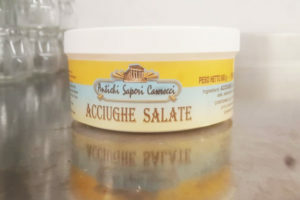 INGREDIENTS: anchovies, salt, brine (water and salt). FORMATS: tubs of 850 gr. 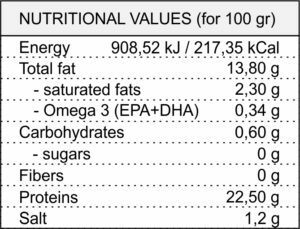 Blue fish rich in Omega3. 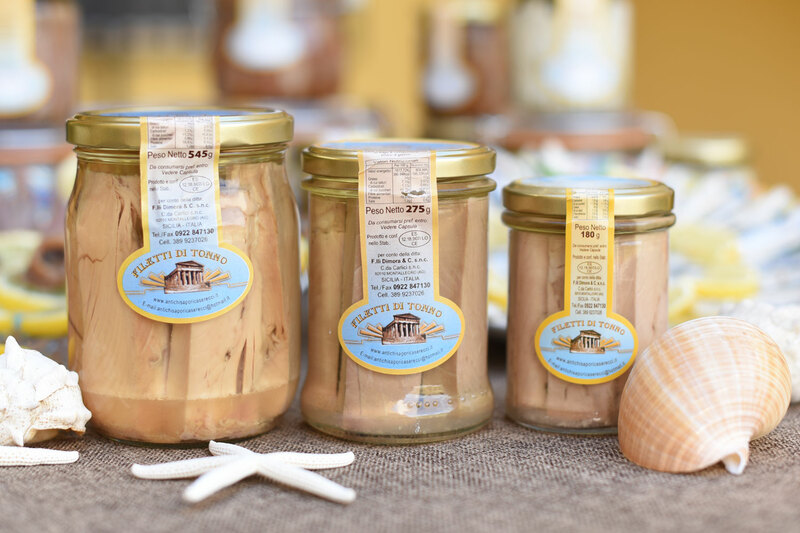 Store in a cool place, max 12°C. 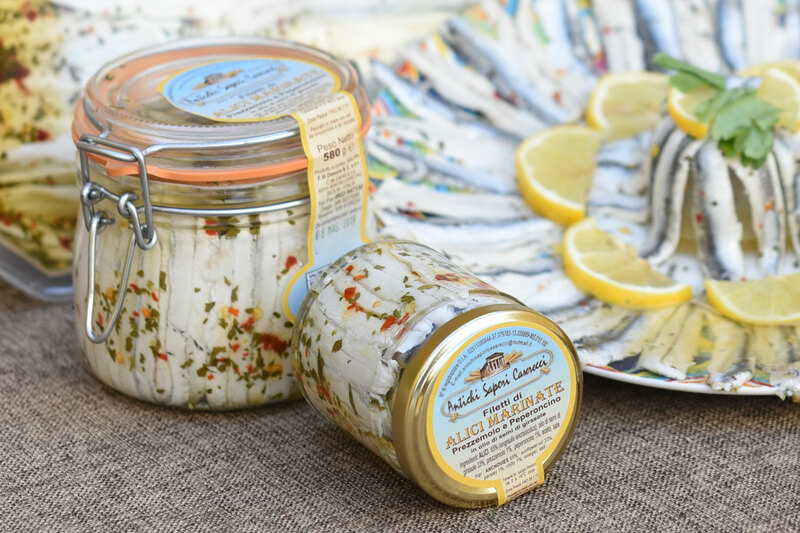 After opening, keep in brine. 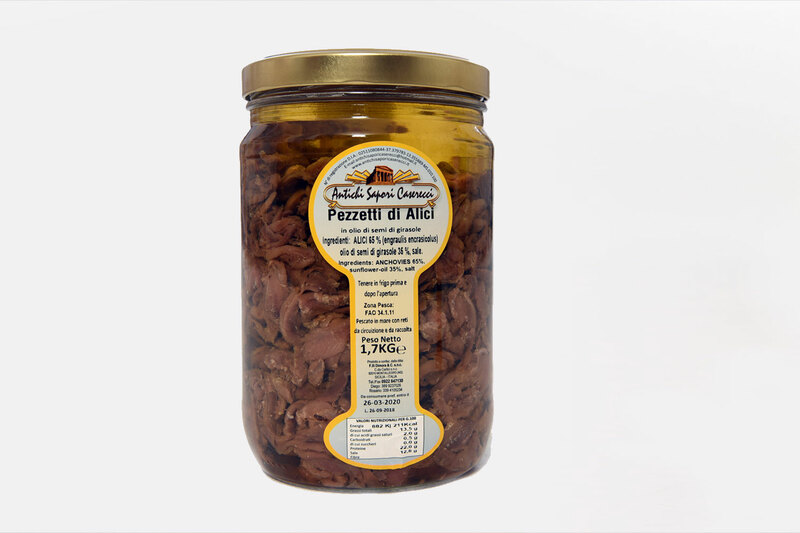 INGREDIENTS: anchovies 65%, sunflower-oil 35%, salt. 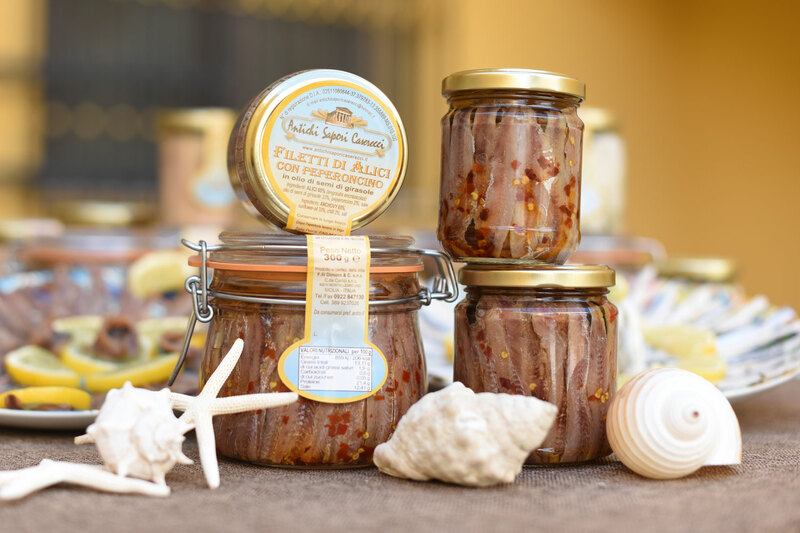 FORMATS: jar of 212 gr – 300 gr – 580 gr. Store in the fridge before and after opening. 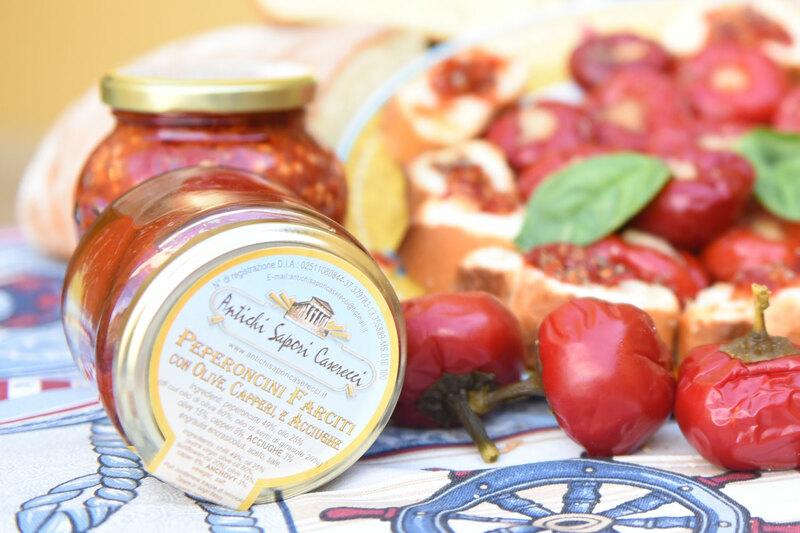 INGREDIENTS: anchovies 65%, sunflower-oil 33%, chilli 2%, salt. 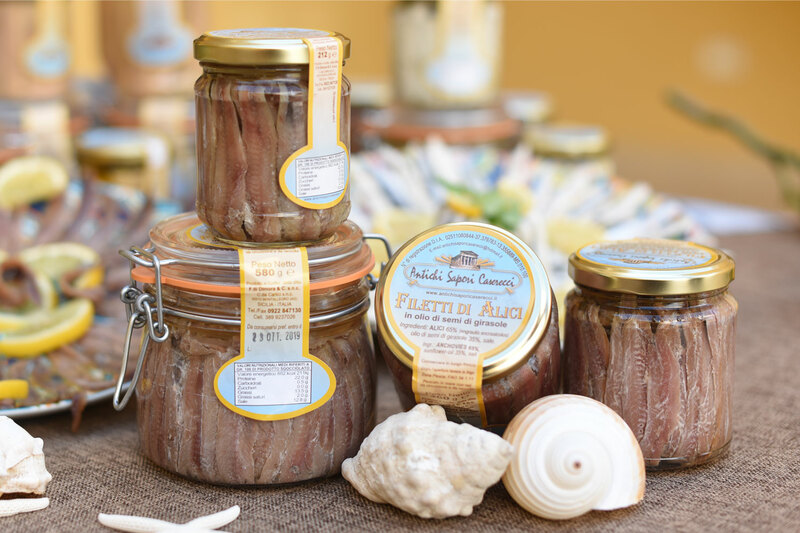 INGREDIENTS: anchovies 65%, sunflower-oil 33%, parsley 1%, chilli 1%, vinegar, salt. FORMATS: tubs of 200 gr – 1 kg – 2 kg; jar of 212 gr – 300 gr – 580 gr. 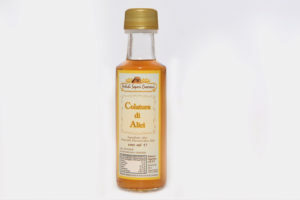 Store at about 0 to +6 ° C.
FORMATS: bottle of 100 ml. 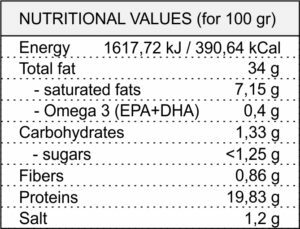 INGREDIENTS: mackerel 66%, olive oil, salt. FORMATS: jar of 212 gr. 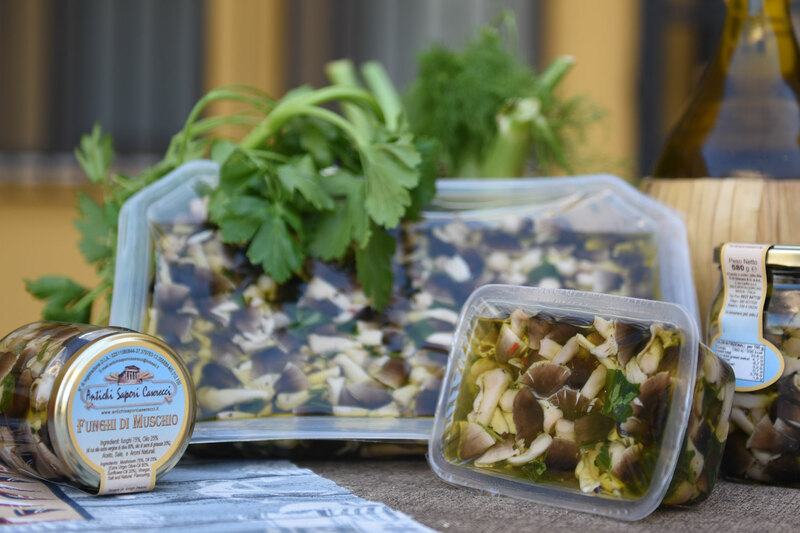 After opening, store in the fridge and consume within 5 days. 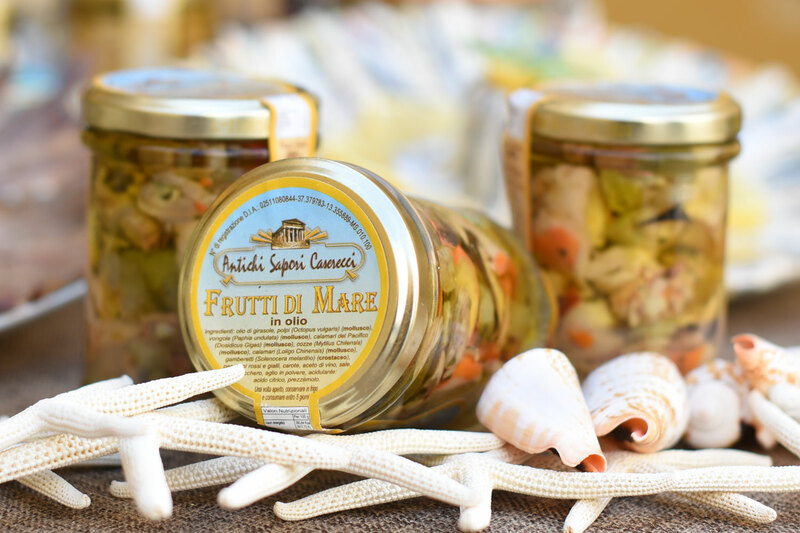 INGREDIENTS: sunflower-oil, octopus, clams, Pacific squid, mussels, squid, shrimps, red and yellow peppers, carrots, wine vinegar, salt, sugar, garlic powder, citric acid, parsley. FORMATS: jar of 1,7 kg. INGREDIENTS: fillets of tuna 70%, water and salt. 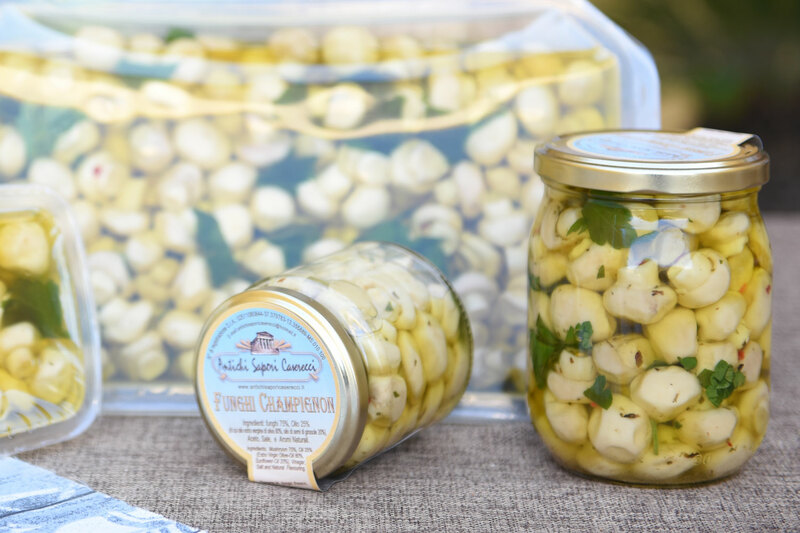 After opening, store in the fridge and consume within 4 days. 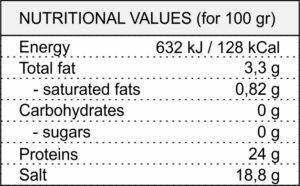 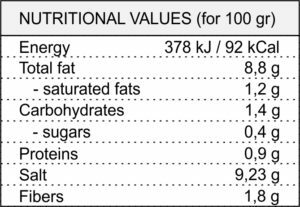 INGREDIENTS: fillets of tuna 65%, olive oil 34,5%, salt. 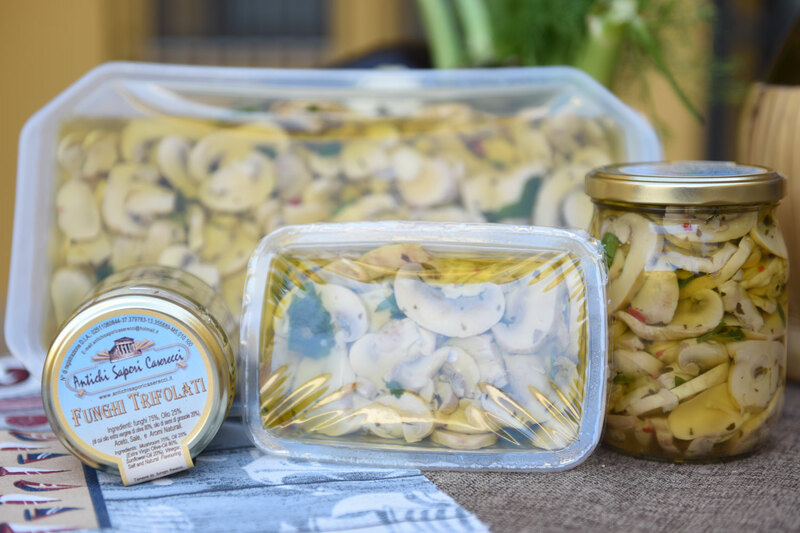 FORMATS: jar of 180 gr – 275 gr – 520 gr. 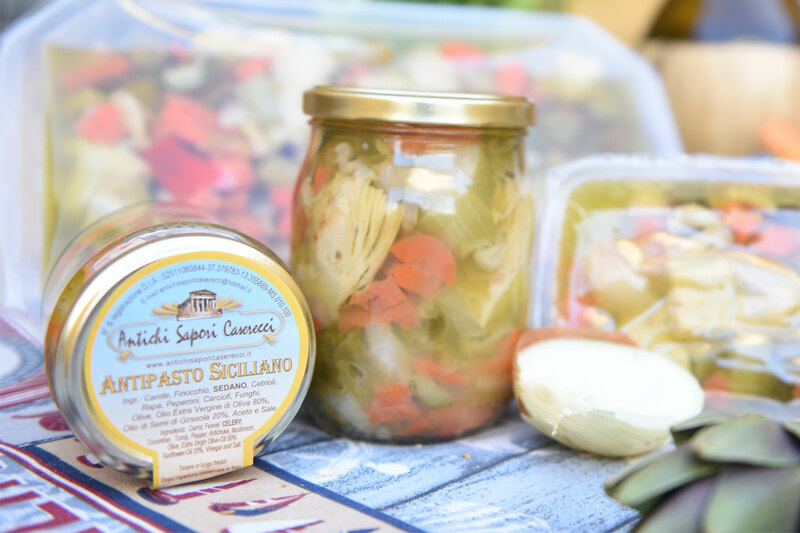 INGREDIENTS: carrots, fennel, celery, cucumbers, turnip, peppers, artichokes, mushrooms, olives, oil (of which extra virgin olive oil 80%, sunflower oil 20%), vinegar, salt. 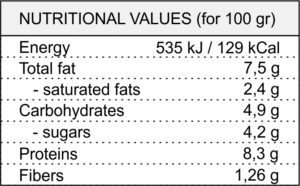 FORMATS: tubs of 500 gr – 2 kg; jar of 300 gr – 580 gr – 1,7 kg. 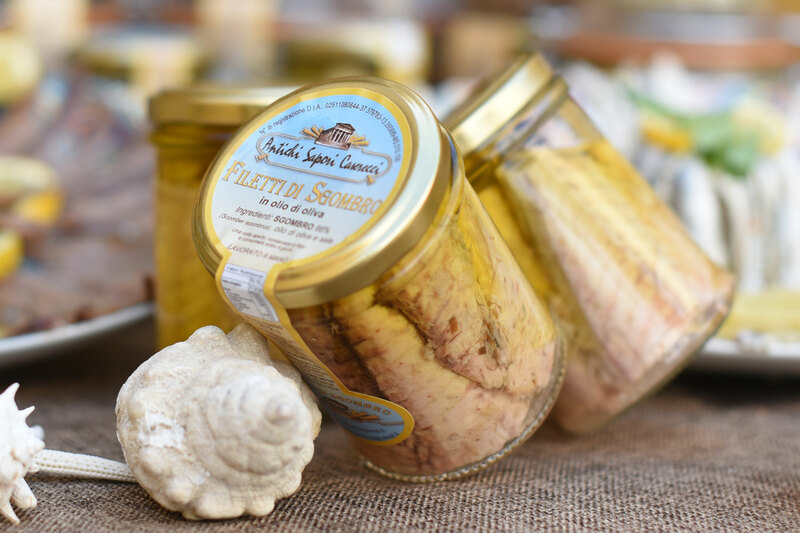 Store in a cool place; after opening, store in the fridge. INGREDIENTS: fried aubergines 55%, celery 10%, olives 10%, capers 8%, onion 7%, oil 5% (of which extra virgin olive oil 80%, sunflower oil 20%), tomato sauce 5 %, vinegar, sugar, salt. FORMATS: jar of 300 gr. 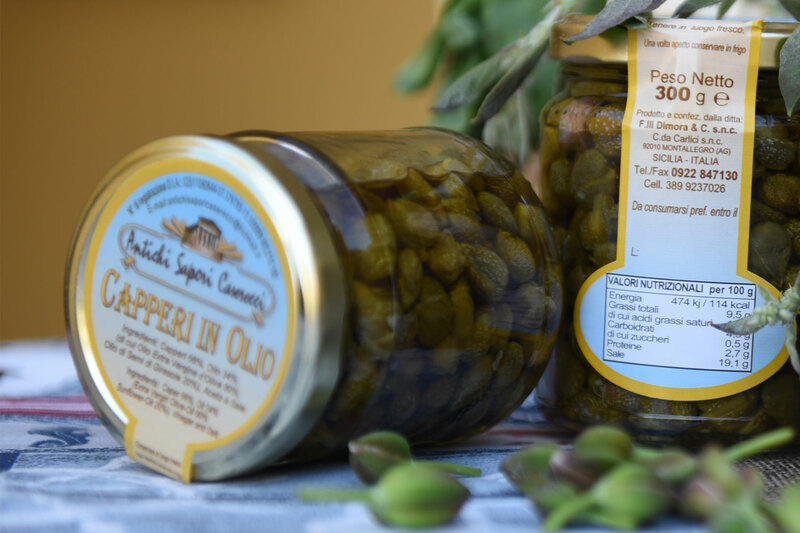 INGREDIENTS: capers, vinegar, water e salt. 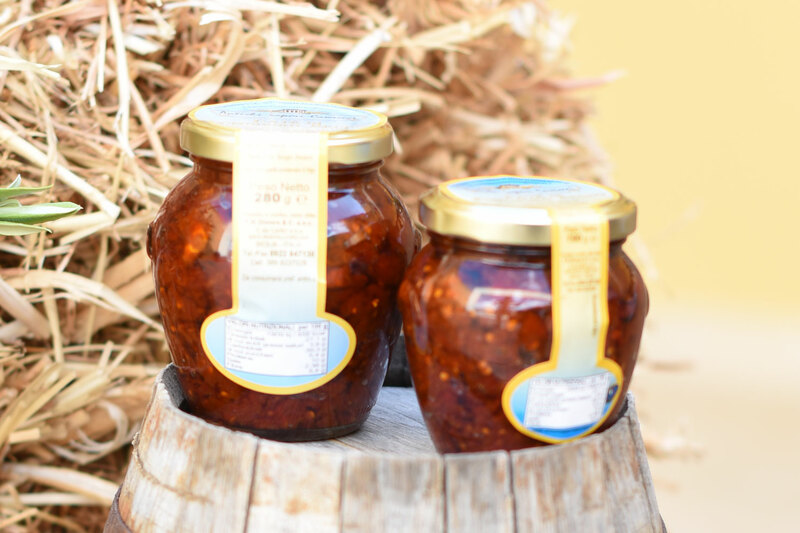 FORMATS: jar of 212 gr – 300 gr. 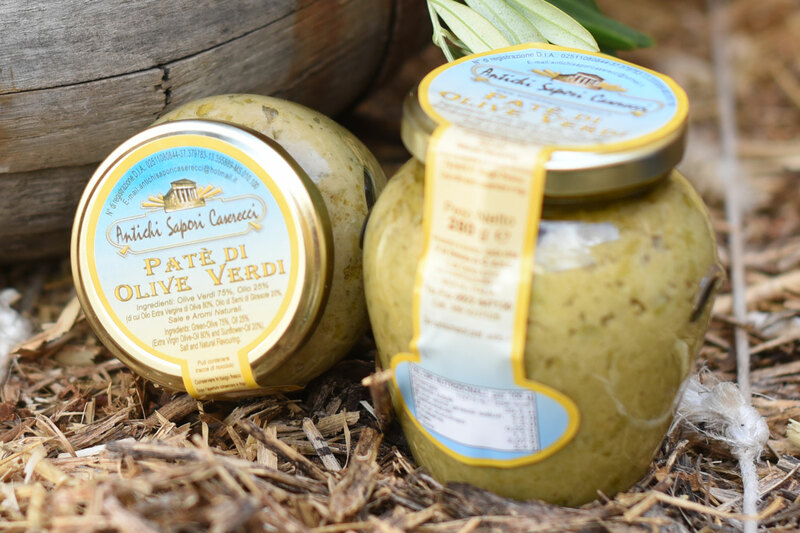 INGREDIENTS: capers 66%, oil 34% (of which extra virgin olive oil 80%, sunflower oil 20%), vinegar, salt. 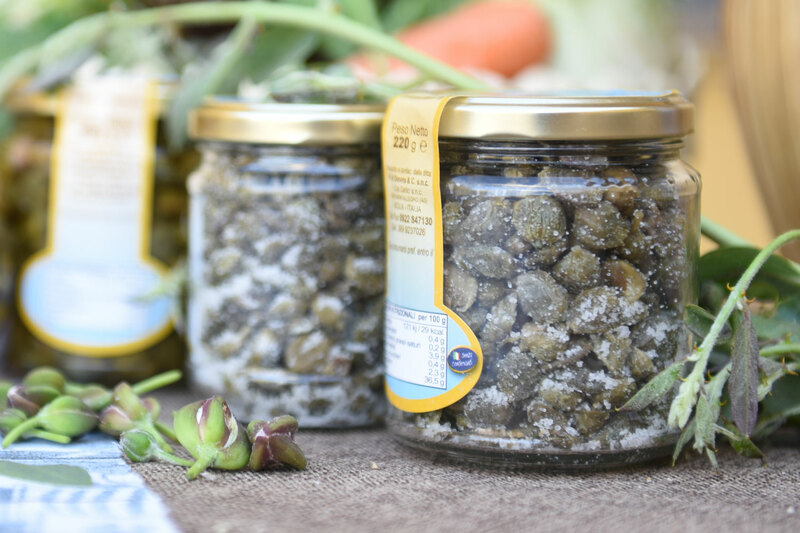 INGREDIENTS: capers 80%, salt 20%. 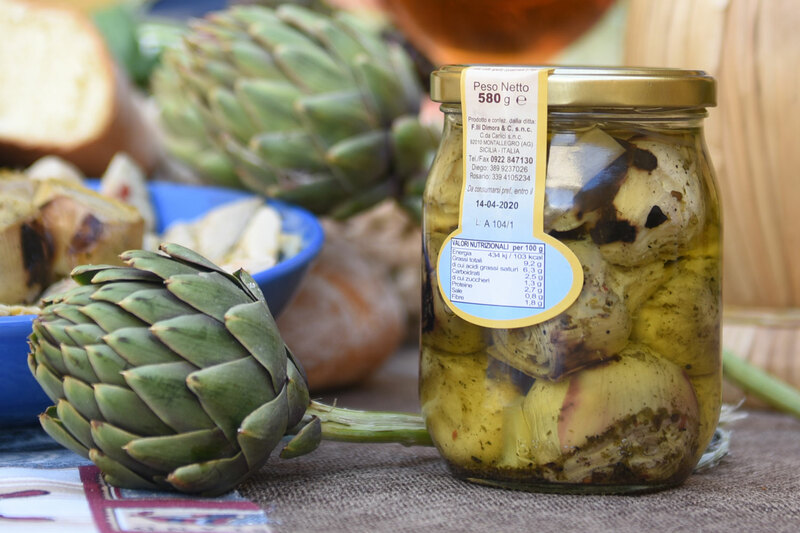 INGREDIENTS: artichokes 75%, oil 25% (of which extra virgin olive oil 80%, sunflower oil 20%), vinegar, salt, natural flavors. 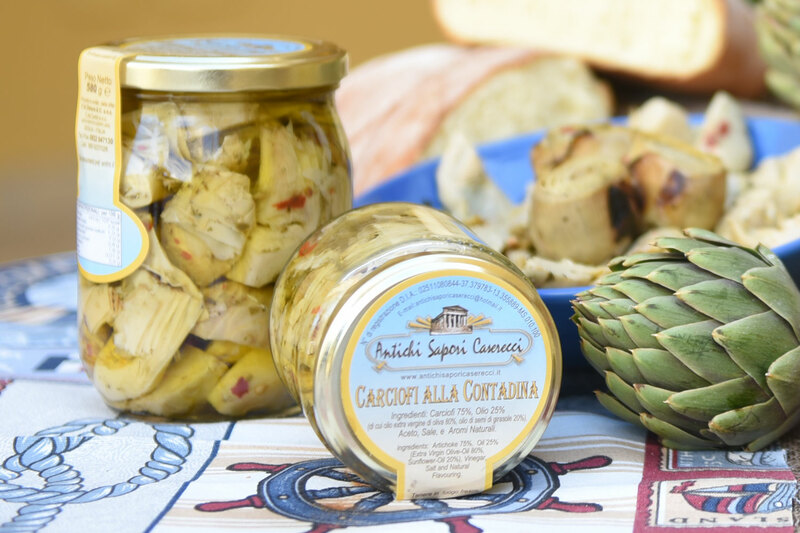 INGREDIENTS: sicilian artichokes 75%, sunflower oil 25%, chilli, origan, parsley, salt. 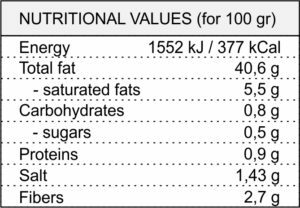 FORMATS: jar of 580 gr. 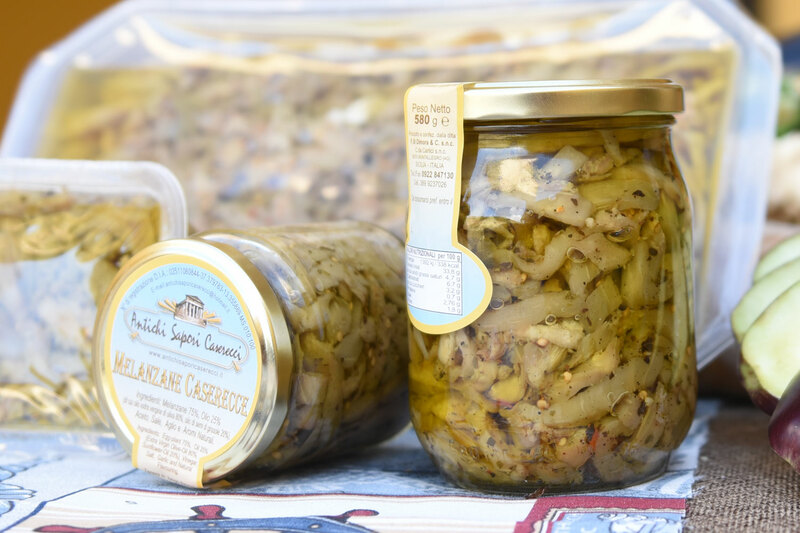 INGREDIENTS: sicilian artichokes 75%, sunflower oil 25%, chilli, origan, presley, salt. 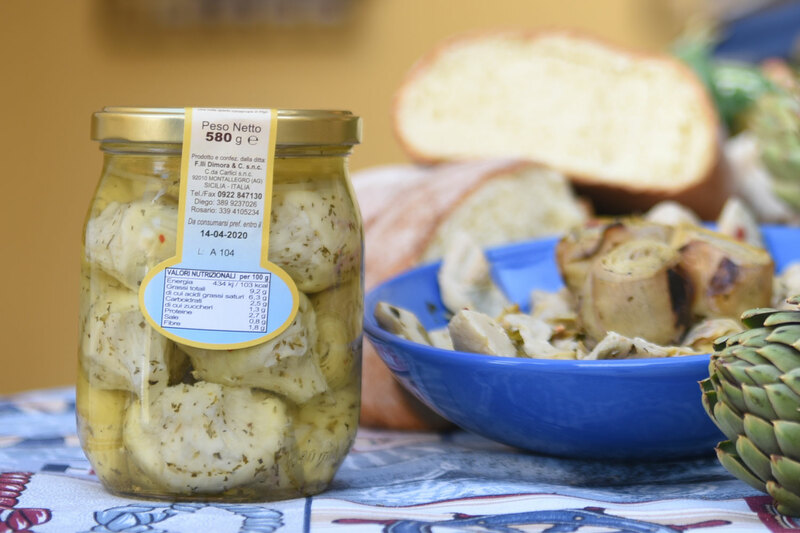 INGREDIENTS: mushrooms 75%, oil 25% (of which extra virgin olive oil 80%, sunflower oil 20%), vinegar, salt, natural flavors. FORMATS: tubs od 500 gr – 2 kg; jar of 300 gr – 580 gr – 1,7 kg. 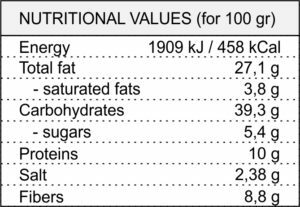 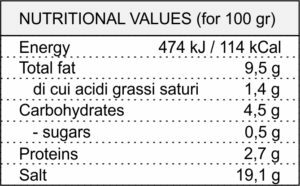 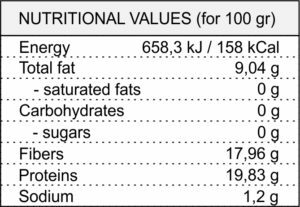 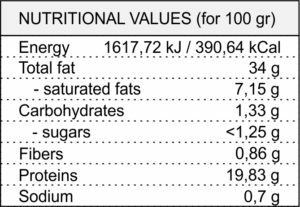 INGREDIENTS: aubergines 75%, oil 25% (of which extra virgin olive oil 80%, sunflower oil 20%), vinegar, salt, garlic, natural flavors. 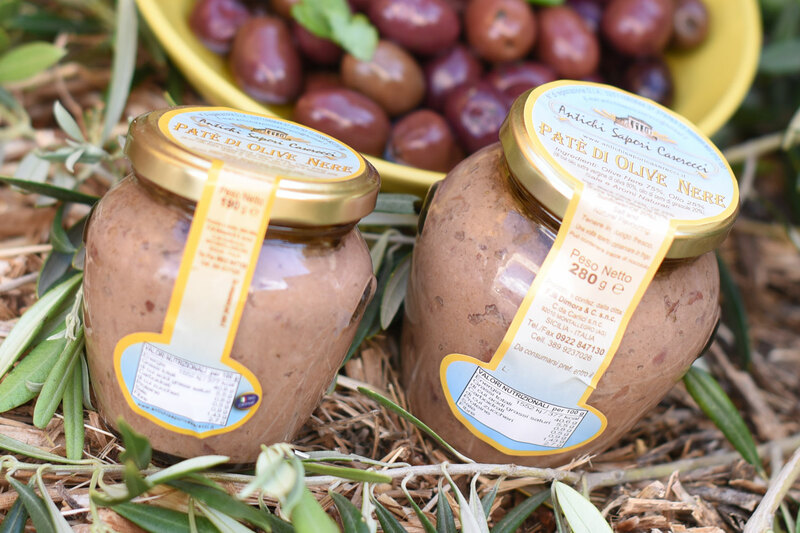 INGREDIENTS: black olives 75%, oil 25% (of which extra virgin olive oil 80%, sunflower oil 20%), salt, garlic, natural flavors. 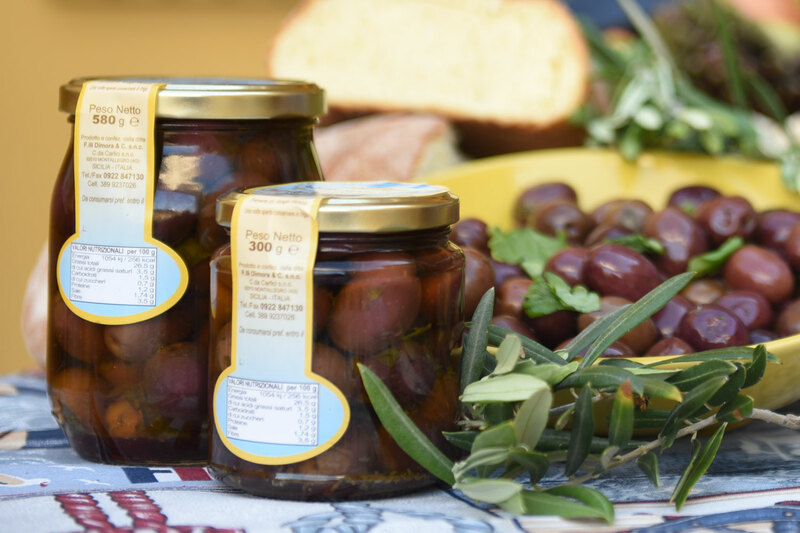 INGREDIENTS: black olives 75%, oil 25% (of which extra virgin olive oil 80%, sunflower oil 20%), salt. 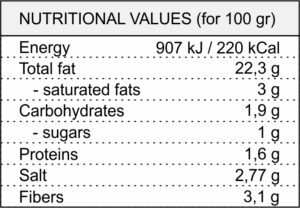 FORMATS: tubs of 2 kg; jar of 1,7 kg. 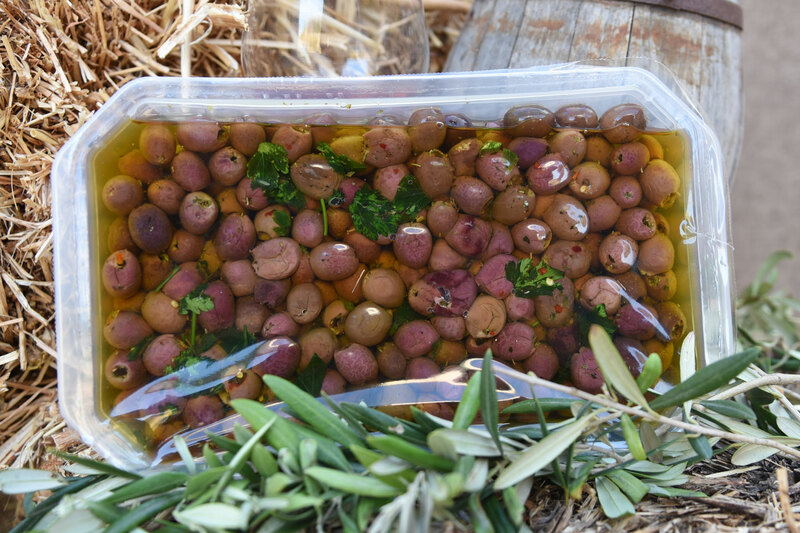 INGREDIENTS: olives 75%, oil 25% (of which extra virgin olive oil 80%, sunflower oil 20%), vinegar, salt, garlic, natural flavors. 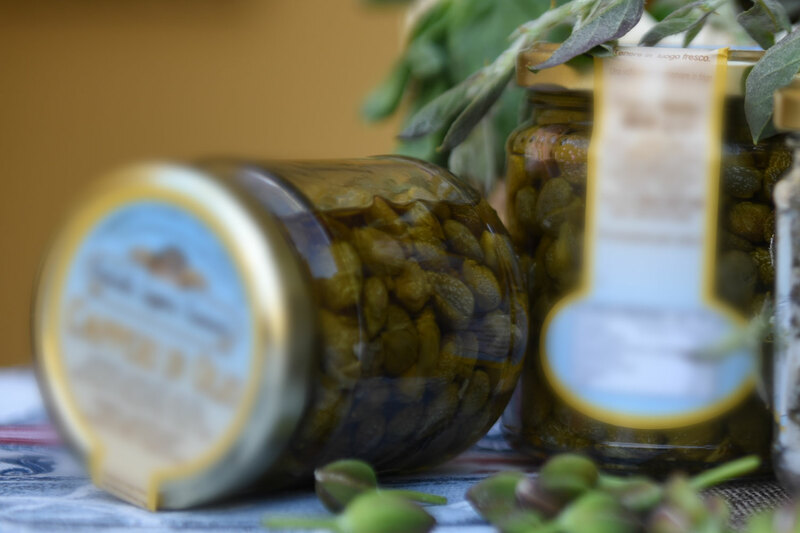 INGREDIENTS: green olives 75%, oil 25% (of which extra virgin olive oil 80%, sunflower oil 20%), salt. 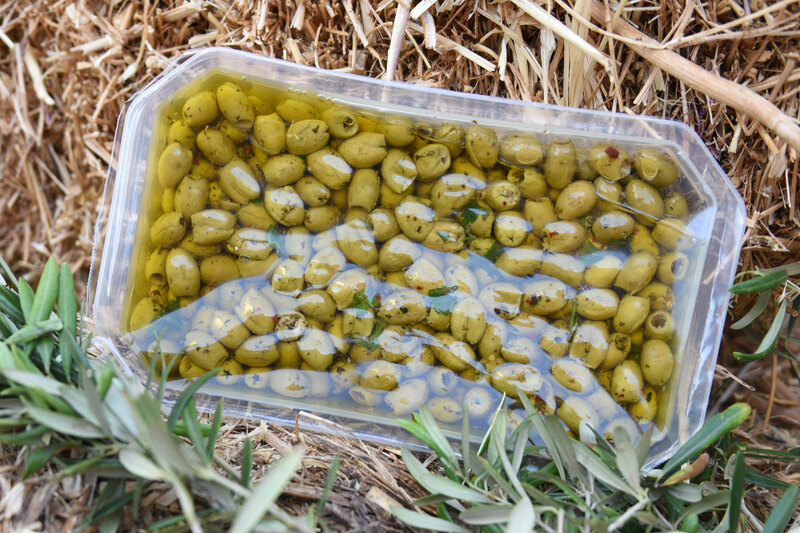 INGREDIENTS: olives 72,5%, water and salt 27,5%. 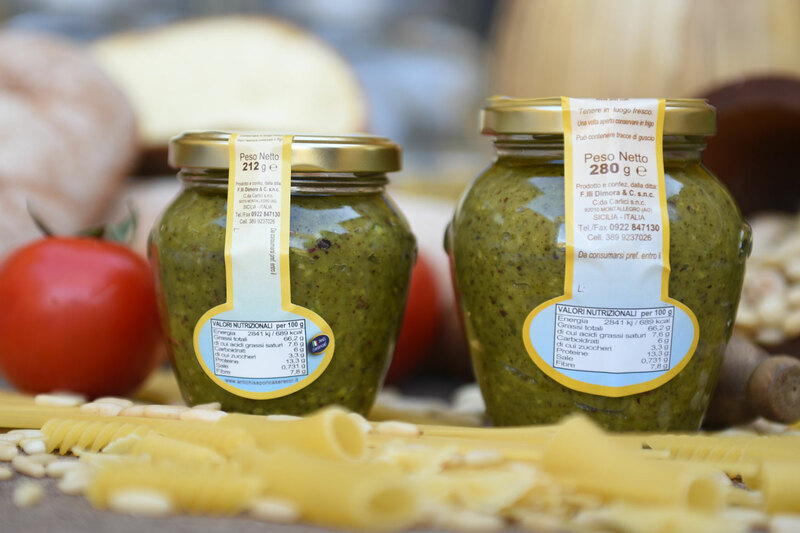 FORMATS: tubs of 500 gr – 2 kg; jar of 580 gr – 1,7 kg. 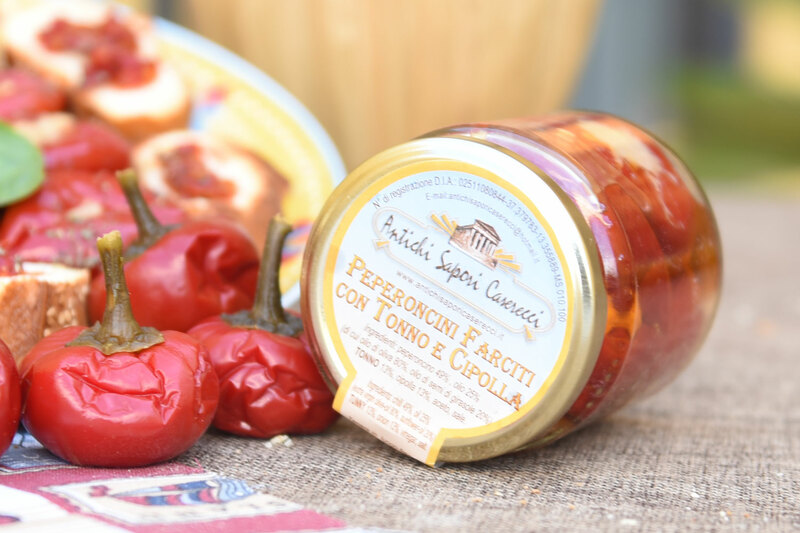 INGREDIENTS: chilli 49%, oil 25% (of which extra virgin olive oil 80%, sunflower oil 20%), olives 15%, capers 8%, anchovies 3%, vinegar, salt. 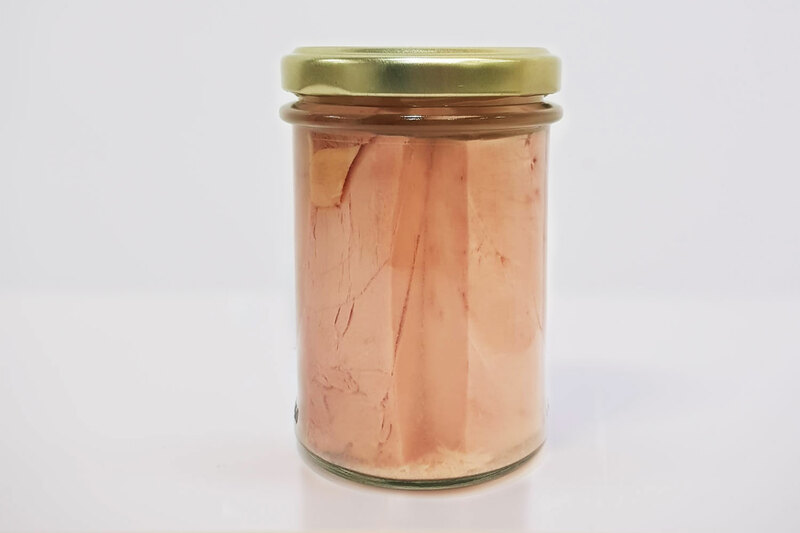 FORMATS: jar of 300 gr – 1,7 kg. It may contain traces of hazel. 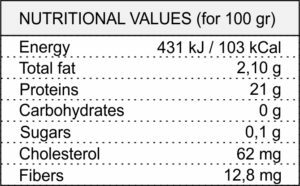 INGREDIENTS: chilli 49%, oil 25% (of which extra virgin olive oil 80%, sunflower oil 20%), tuna 13%, onion 13%, vinegar, salt. 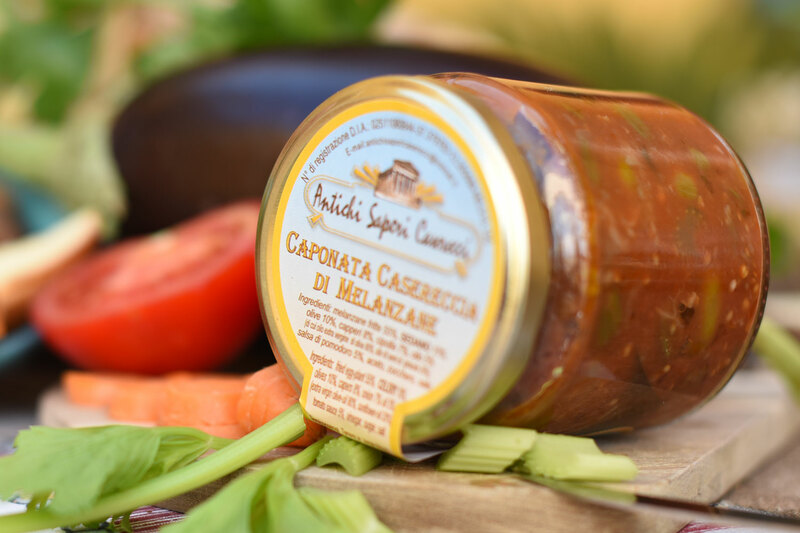 INGREDIENTS: tomato 75%, oil 25% (of which extra virgin olive oil 80%, sunflower oil 20%), garlic, natural flavors, salt. 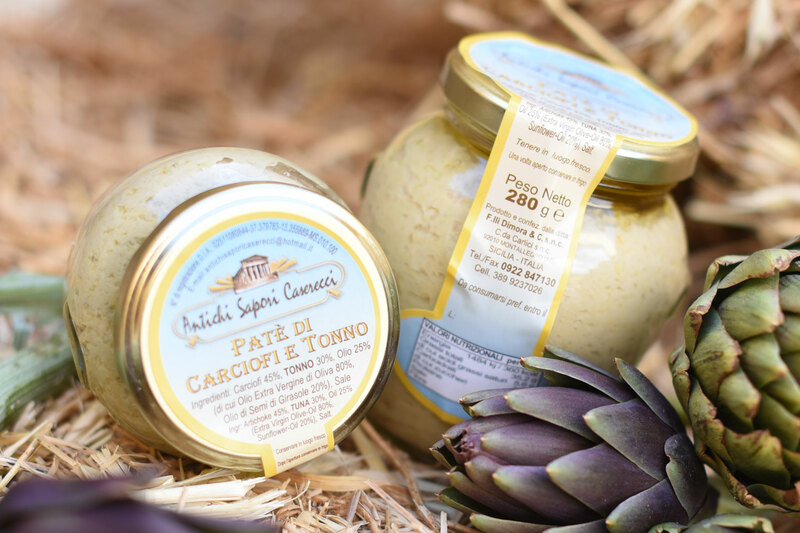 INGREDIENTS: artichokes 45%, tuna 30%, oil 25% (of which extra virgin olive oil 80%, sunflower oil 20%), salt. 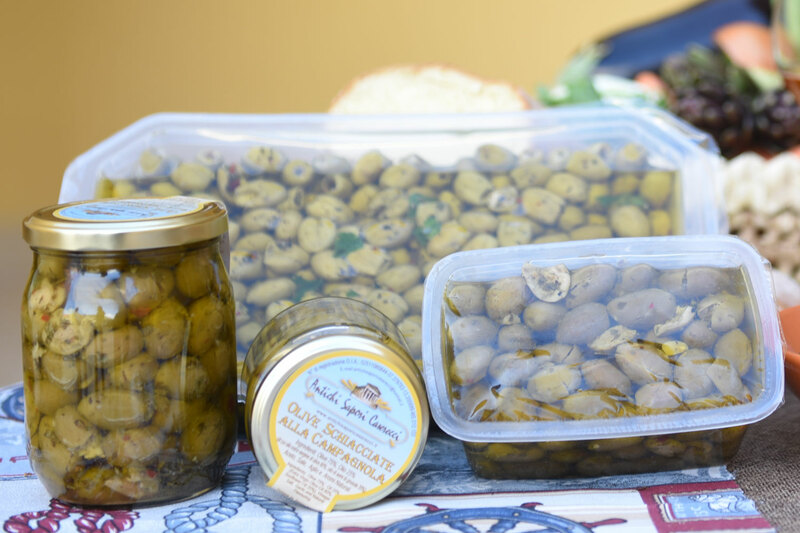 INGREDIENTS: black olives 75%, oil 25% (of which extra virgin olive oil 80%, sunflower oil 20%), salt, natural flavors. 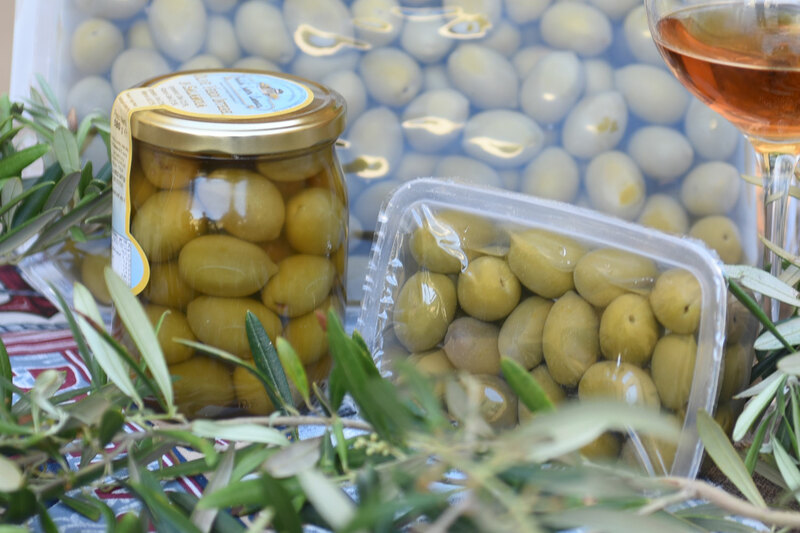 INGREDIENTS: green olives 75%, oil 25% (of which extra virgin olive oil 80%, sunflower oil 20%), salt, natural flavors. INGREDIENTS: tomato 75%, oil 25% (of which extra virgin olive oil 80%, sunflower oil 20%), salt, natural flavors. 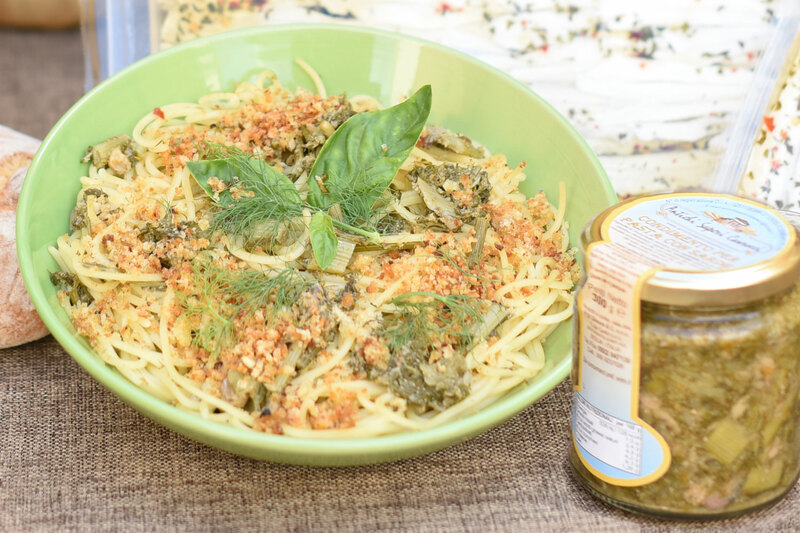 INGREDIENTS: wild fennel 50%, fresh sardines 25%, onion 8%, salted sardines 5%, tomato sauce 4%, sultanas 3%, pine nuts 3%, extra virgin olive oil 2%, salt, chilli, black pepper. 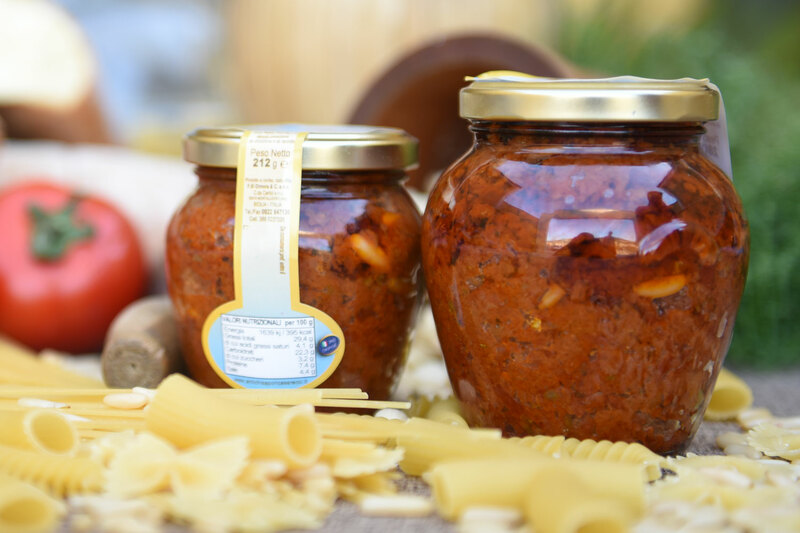 INGREDIENTS: wild fennel 75%, tomato sauce 10%, onion 6%, anchovies 4%, extra virgin olive oil 3%, pine nuts 2%, salt and black pepper. 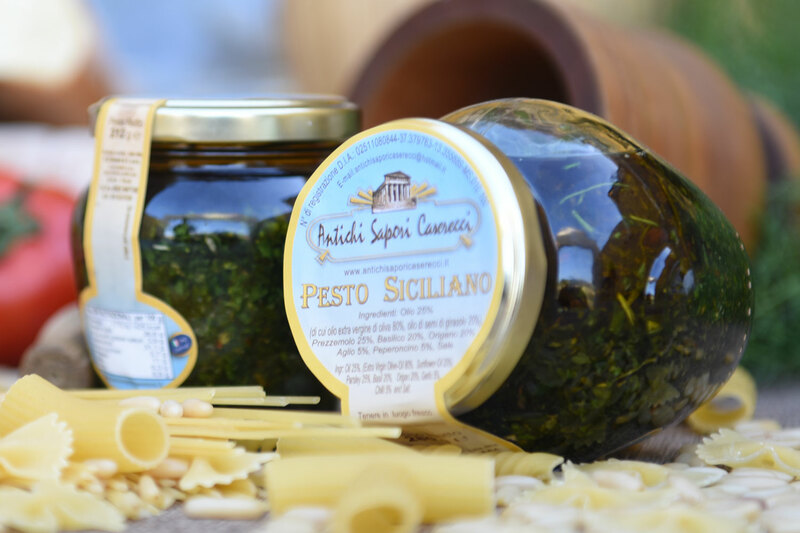 INGREDIENTS: pistachio 75%, oil 25% (of which extra virgin olive oil 80%, sunflower oil 20%), basil, salt. 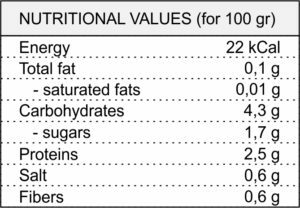 It may contain traces of shell. 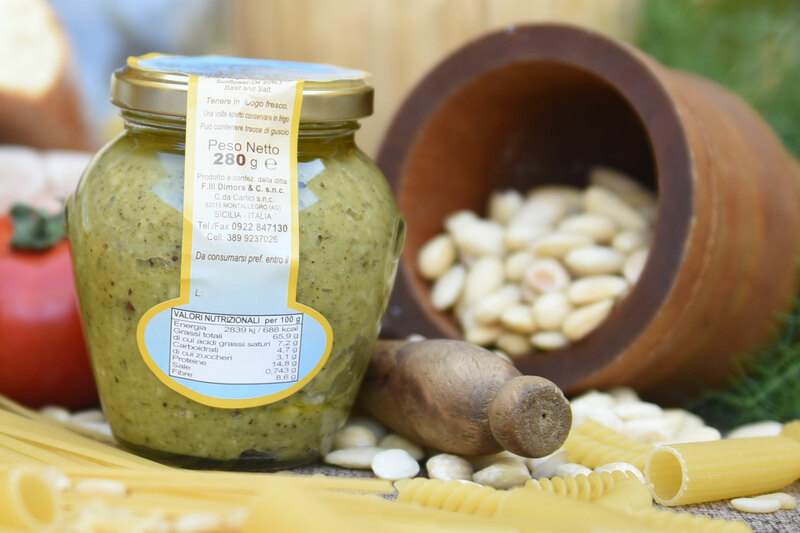 INGREDIENTS: pistachio 37,5%, almonds 37,5%, oil 25% (of which extra virgin olive oil 80%, sunflower oil 20%), basil, salt. 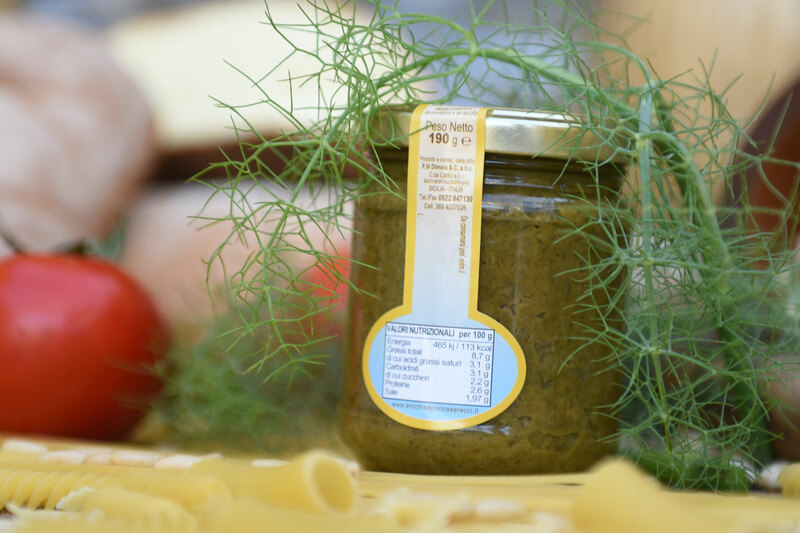 INGREDIENTS: oil 30% (of which extra virgin olive oil 80%, sunflower oil 20%), parsley 35%, garlic 20%, chilli 15%, salt. 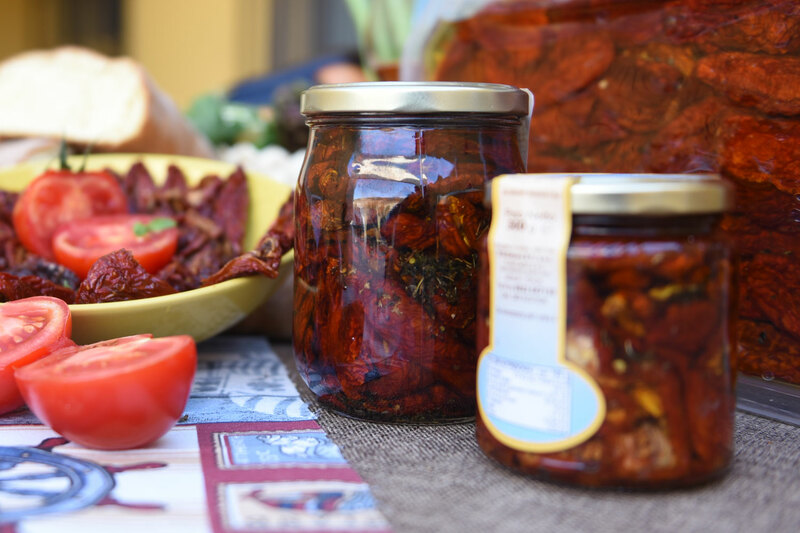 INGREDIENTS: dried tomato 40%, oil 24% (of which extra virgin olive oil 80%, sunflower oil 20%), black olives 20%, capers 10%, anchovies 5%, pine nuts 1%, natural flavors, garlic, salt. 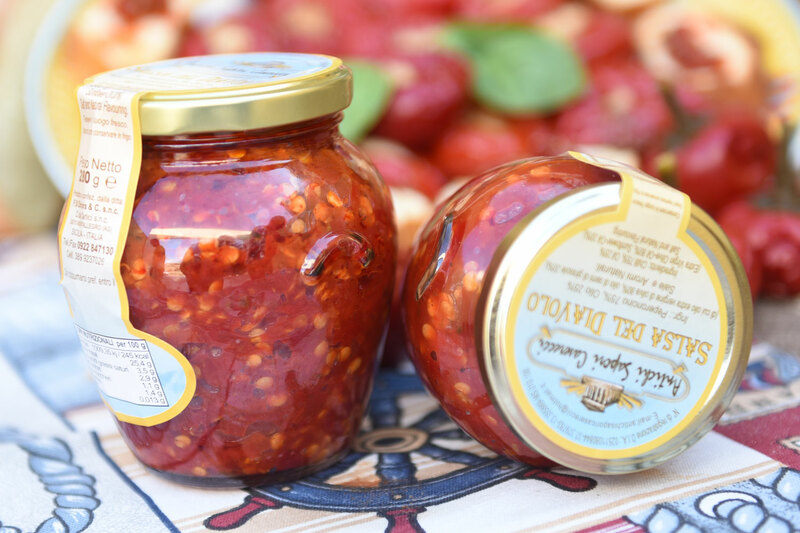 INGREDIENTS: chilli 75%, oil 25% (of which extra virgin olive oil 80%, sunflower oil 20%), salt, natural flavors.